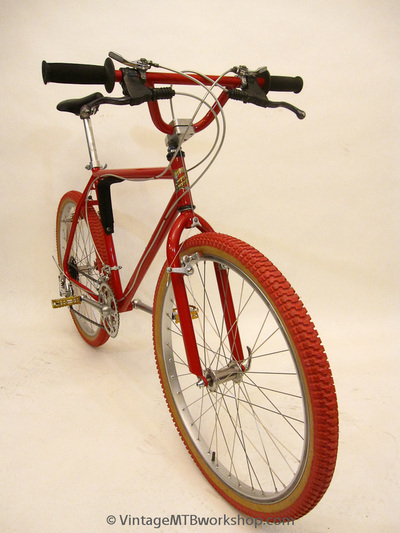 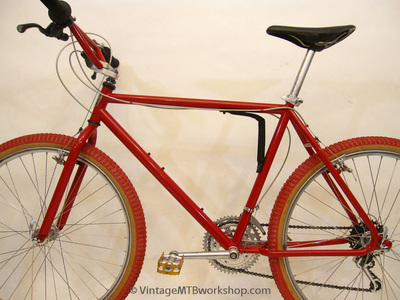 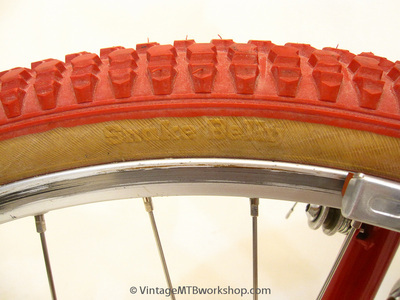 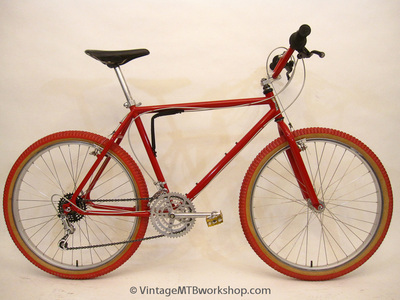 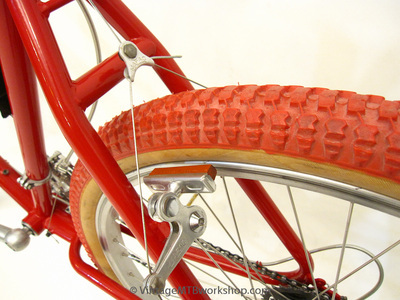 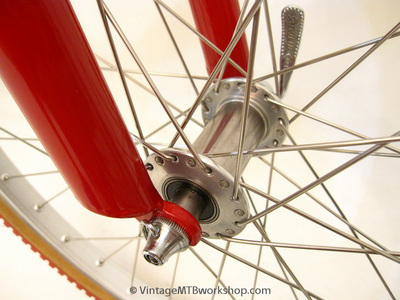 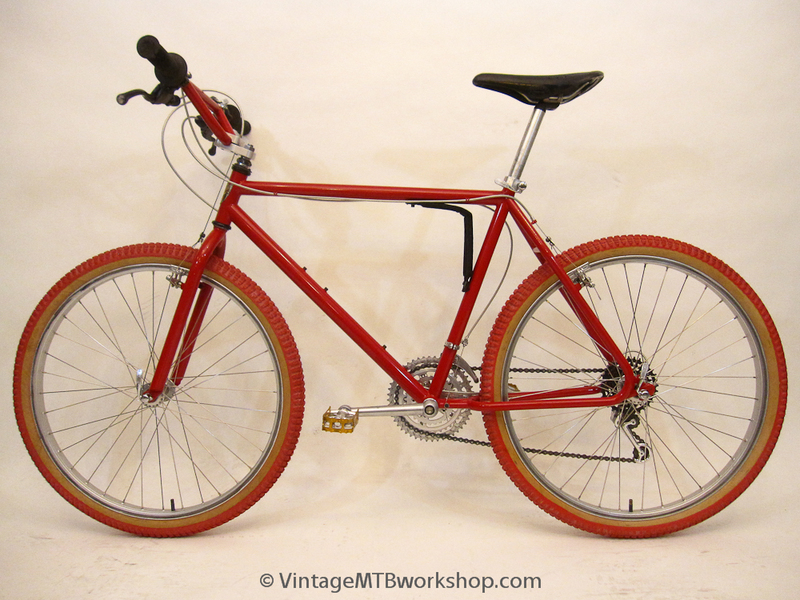 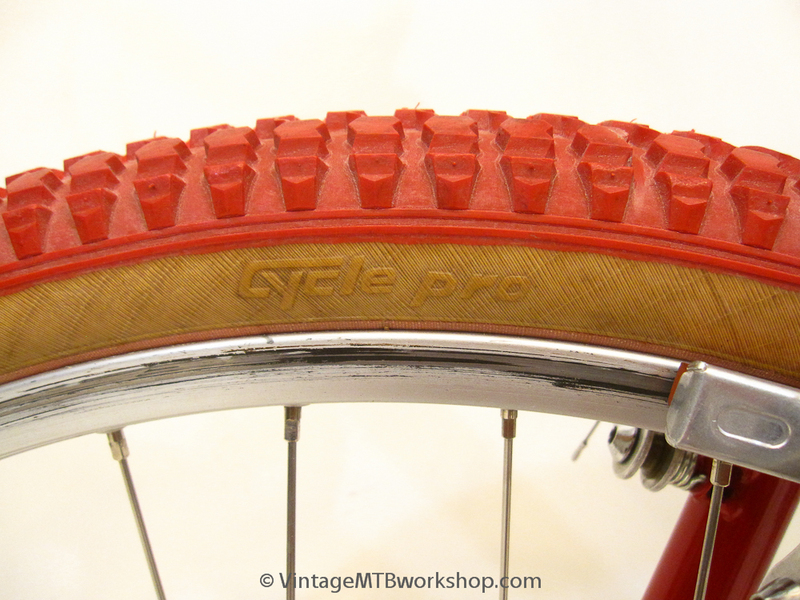 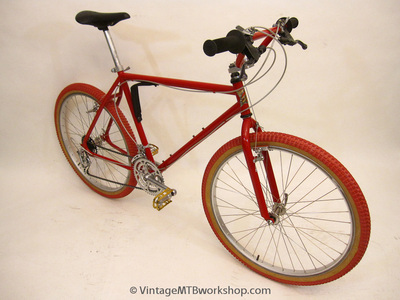 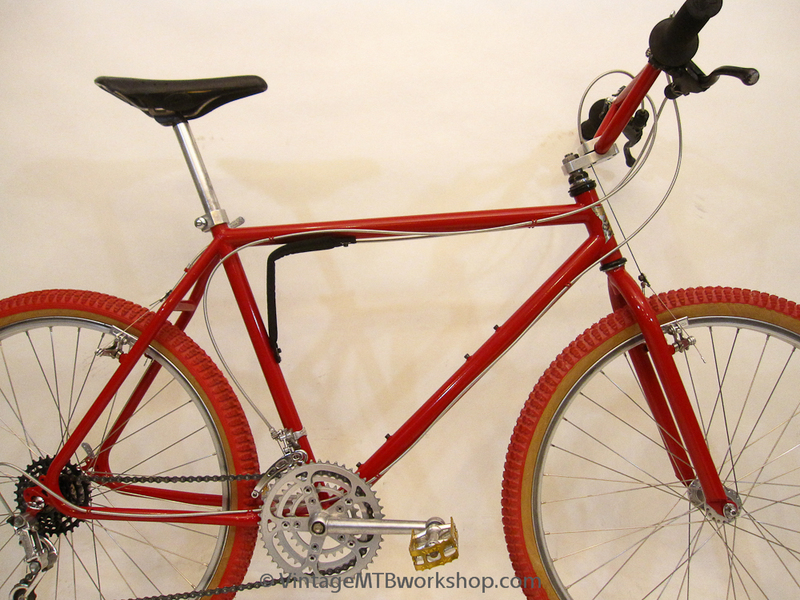 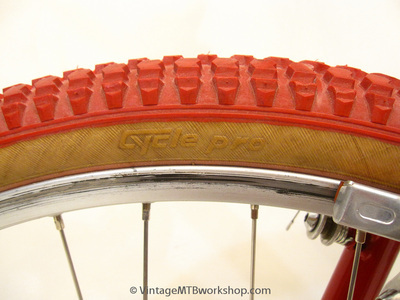 In the early 1980's, Sweetheart Cycles in the Los Angeles area was run by "Bicycle Bob" Wilson, before it was purchased by John Parker and morphed into Yeti Cycles. 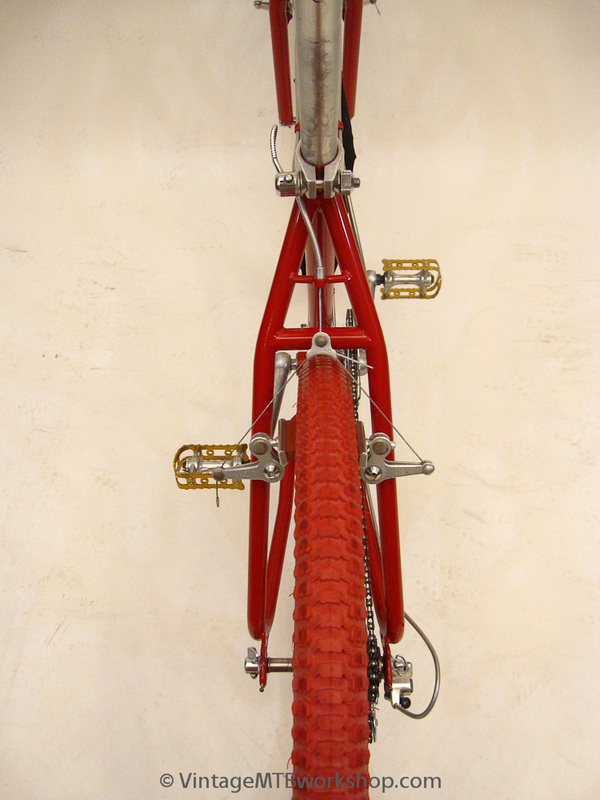 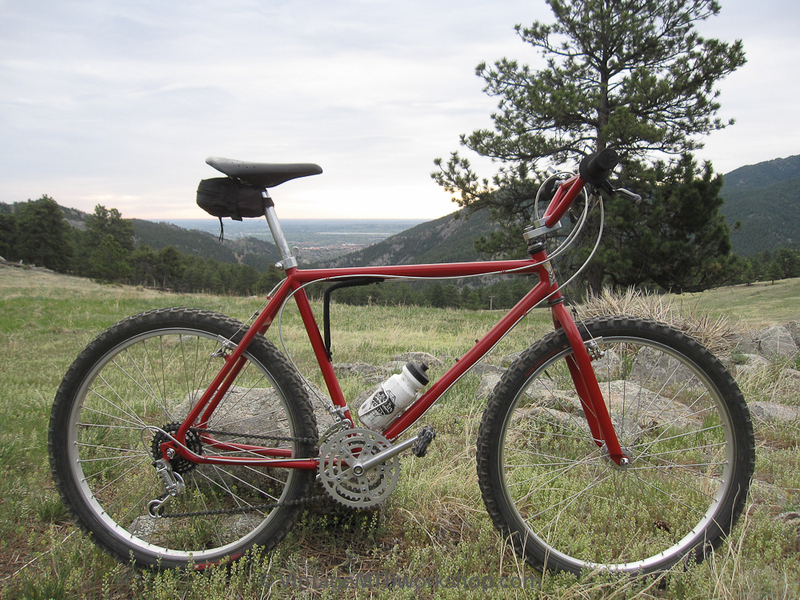 As a result, many of the characteristic features of a Yeti FRO trace their origin to the Sweetheart Cycles Moto-Cruiser: the fork design, Simplex dropouts, top actuated front derailleur, and BMX inspired features such as the headtube size, loop stays, and components from GT, Cook Brothers Racing, and Bullseye. 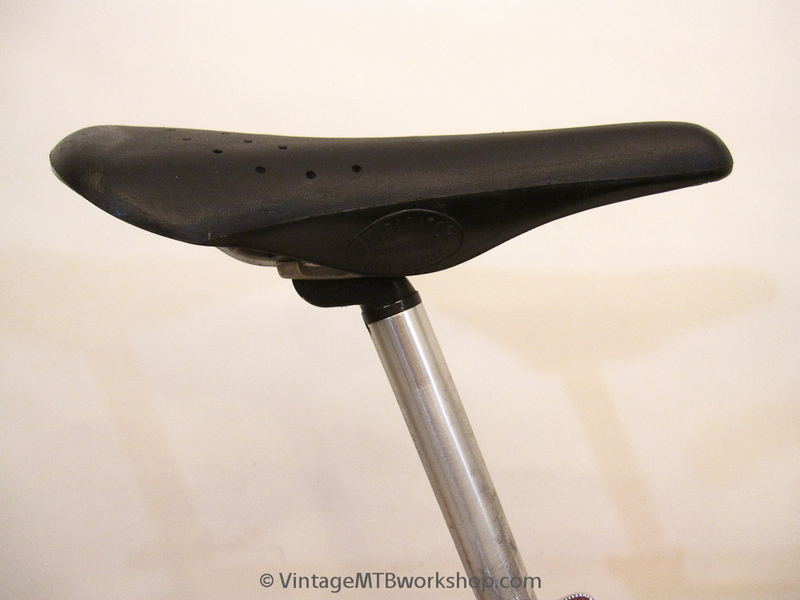 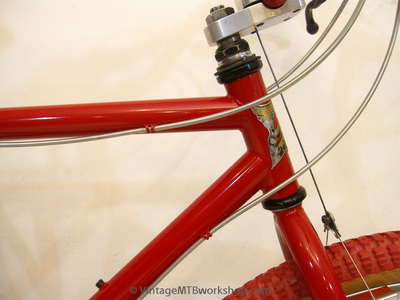 Unlike its more refined contemporaries from Breezer and Ritchey, the Moto-Cruiser had rough and ready influences from BMX, and it cost much less. 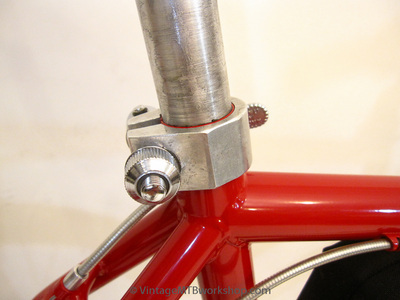 Instead of masterful brazing with Reynolds 531, it used straight gauge tubes that were TIG welded and not necessarily intended for bicycles. 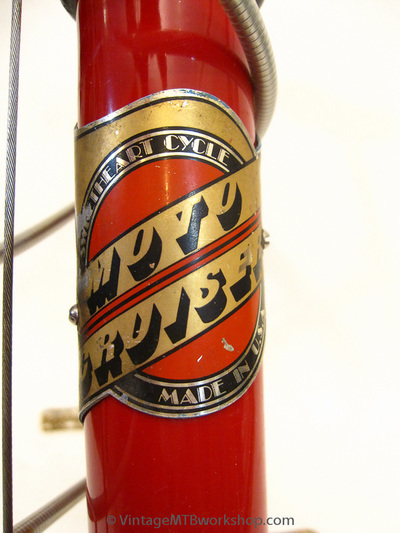 However, the bikes proved to be very stable at speed, and this characteristic contributed greatly to the reputation of the Yeti FRO. 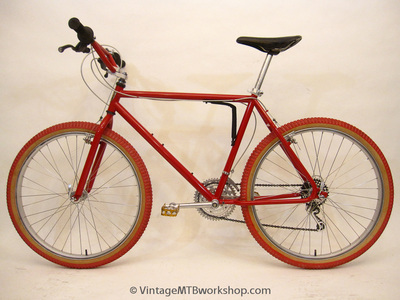 This particular Moto Cruiser was purchased in 1983 in the Tucson area and was used extensively for about 20 years. With guidance from the original owner, the bike was restored to it's original configuration. 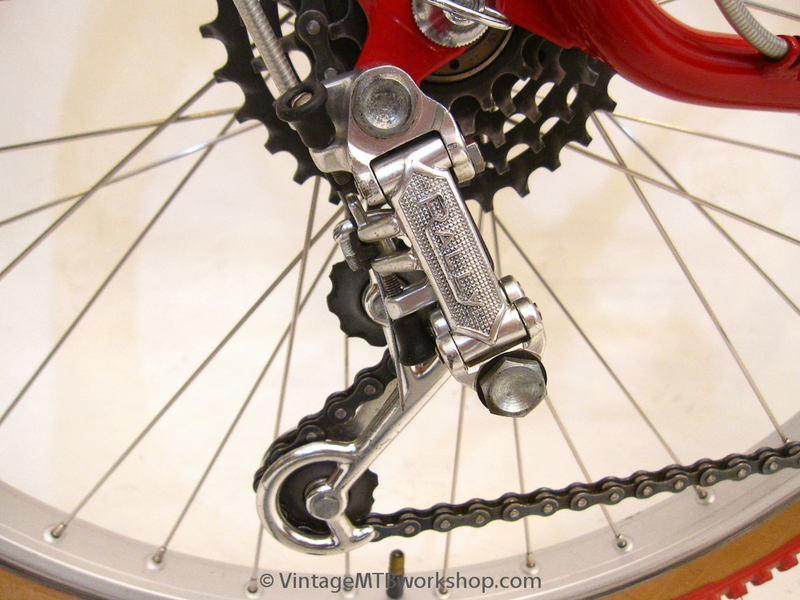 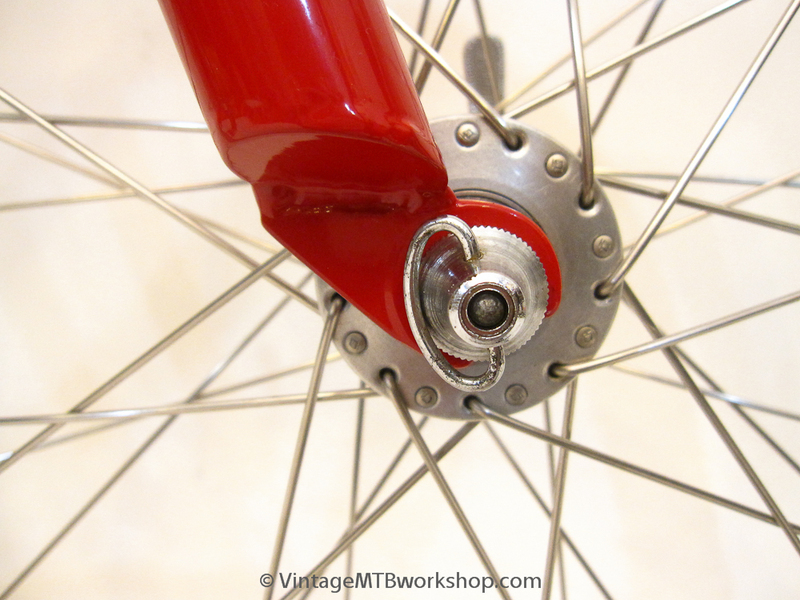 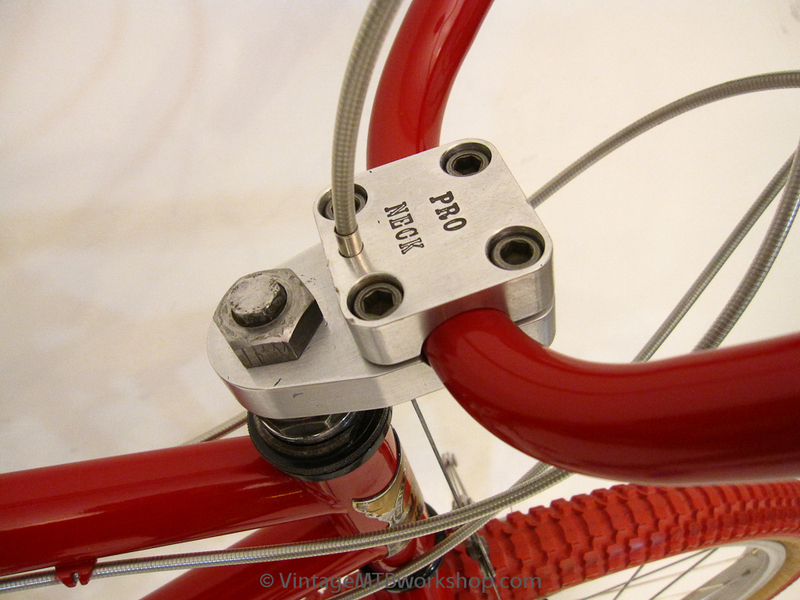 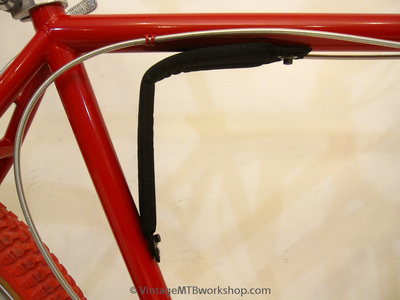 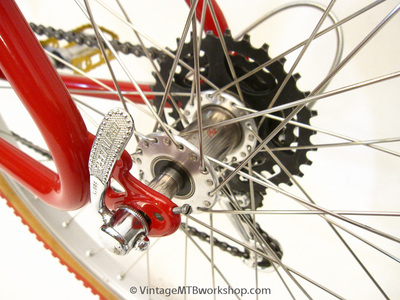 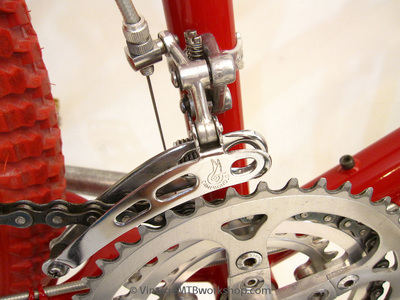 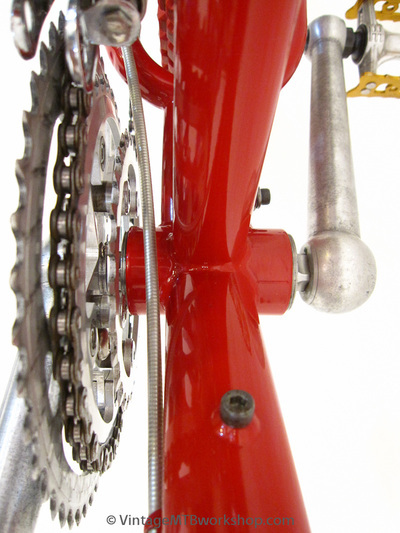 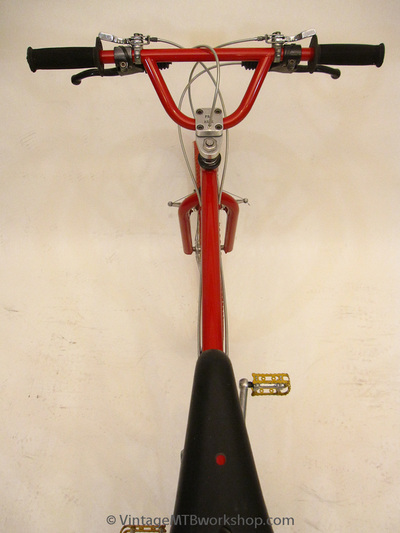 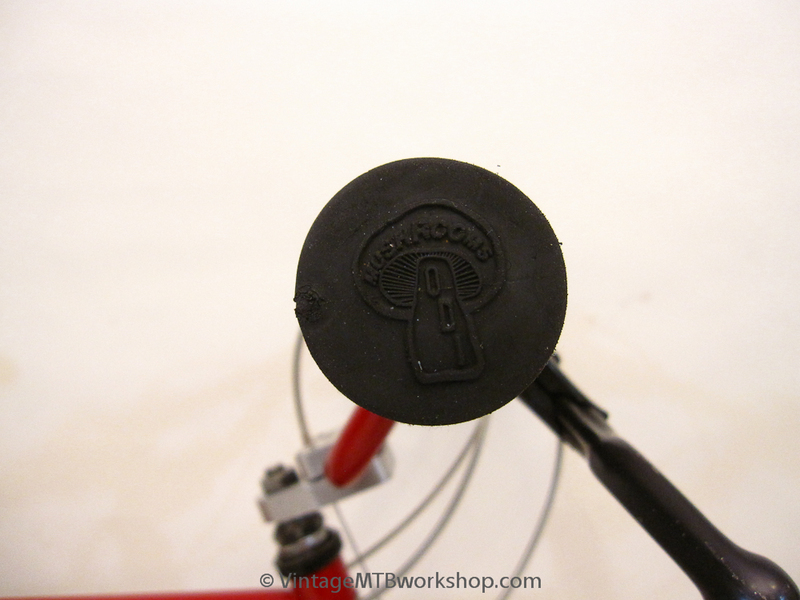 The unusual component selection is typical of Moto Cruisers: Campagnolo derailleurs, Simplex shifters, and Pro Neck stem with Moto Cruiser handlebars. 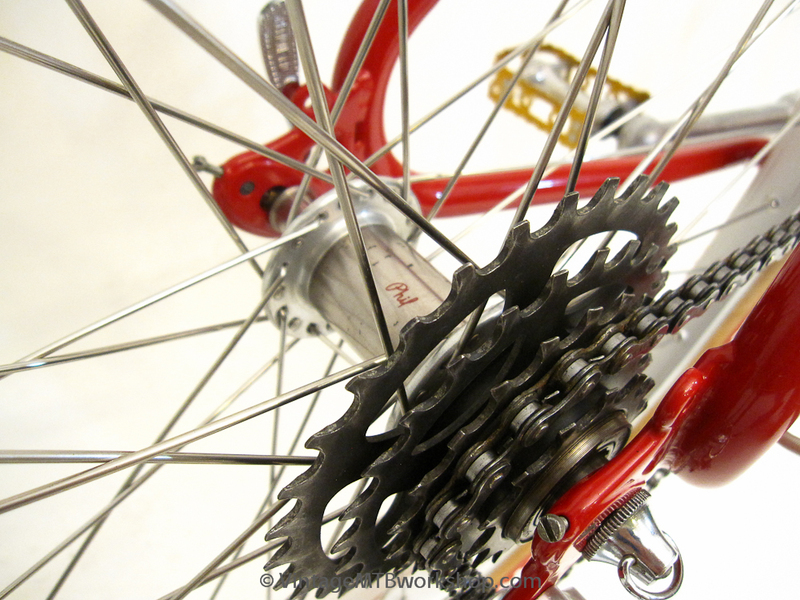 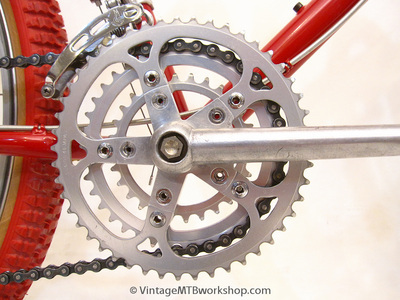 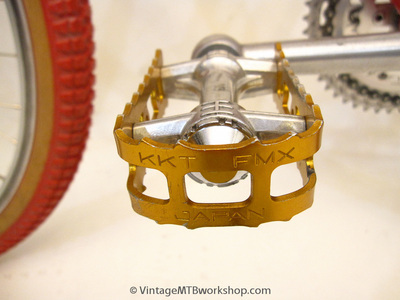 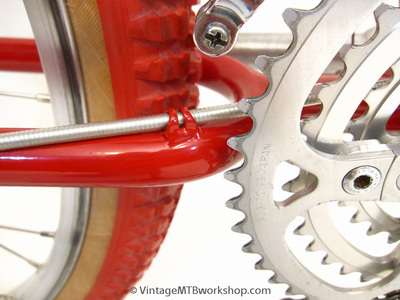 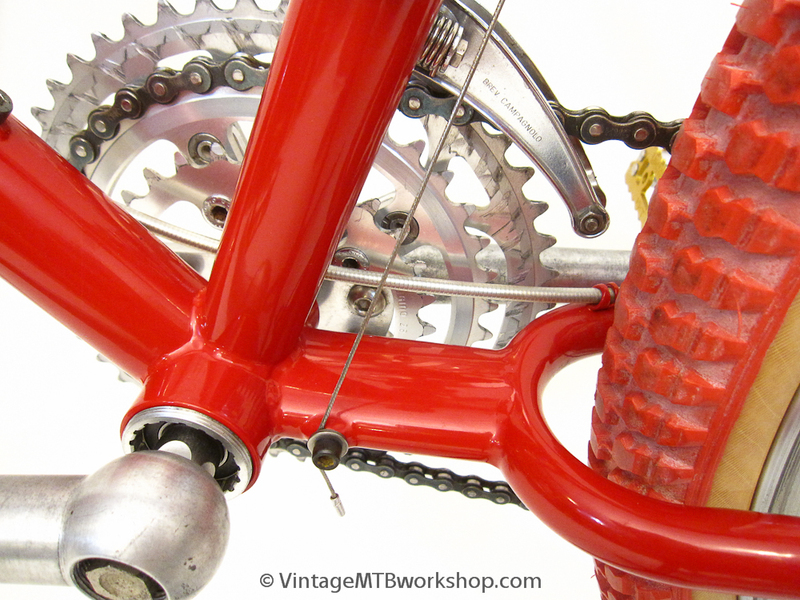 The Cook Brothers Crankset was added by the original owner a couple of years later. 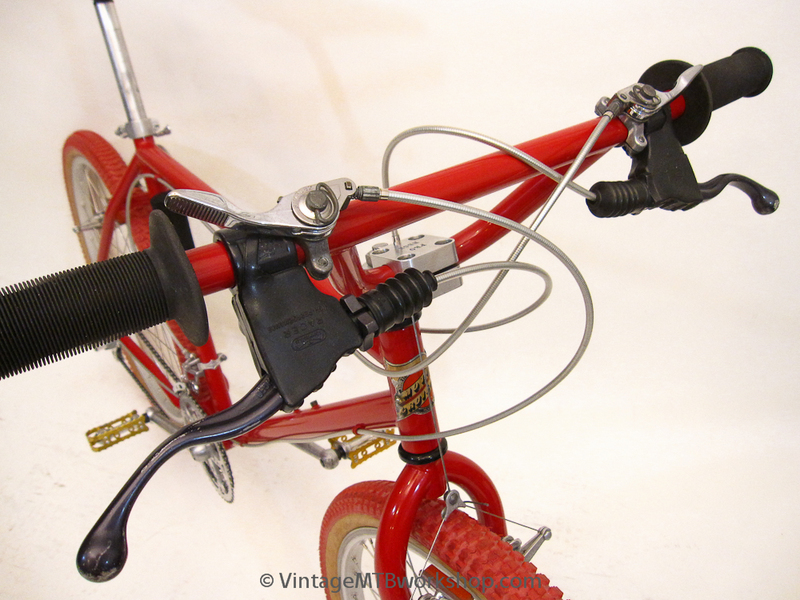 More information can be found on the Moto Cruiser Photo Archive page.